Curse of the Clans | a new original warriors rp! Wolf RPG — Advertisements — Advertisements — Curse of the Clans | a new original warriors rp! 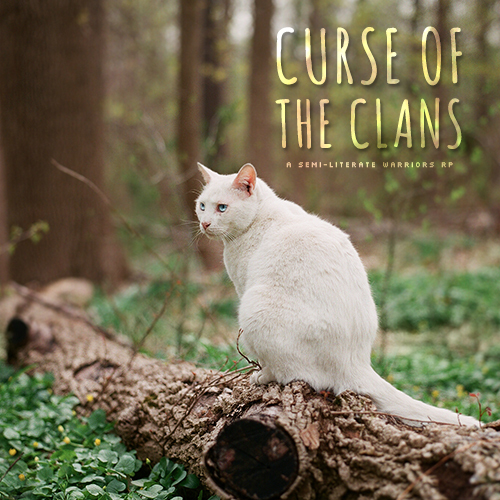 Curse of the Clans is a semi-literate Warriors Cats roleplay! COTC is based on four original clans that were created after ThunderClan, RiverClan, WindClan and ShadowClan disbanded. We have a 100 word minimum and allow kittypets, rogues and loners. We opened up on January 23rd and already have an active member base. Our community is open and welcoming and the forum is very member driven. COTC has a Discord where we hang out and plot as well as get to know each other. If you are ready to start your adventure, come join us!